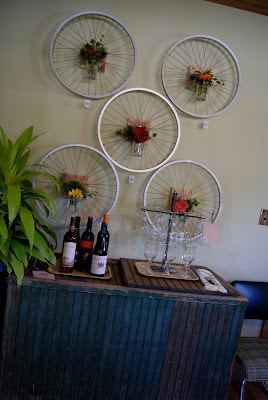 If you have some old bike wheels, it is the perfect time to get them out because we’ve awesome ideas for you! 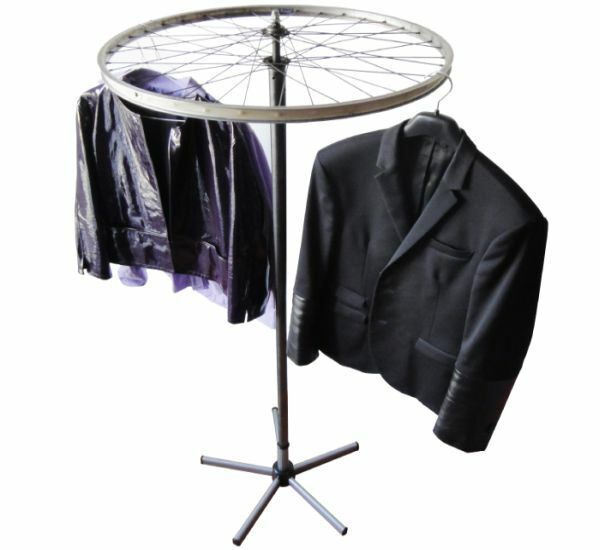 You won’t imagine the things you’re able to do with only a bike wheel that’s sitting useless somewhere. Do not let this happen, and get your hands full with work after reading our wonderful recycling ideas. Take a look at our gallery and select what best suits to your place: perhaps you will find a inexpensive solution for a new fence or you will reconsider purchasing a brand new coffee table. 1. A great addition to your wardrobe. 2. With a little color and glass transform the while in this useful breakfast tray! 10. Pot Rack. 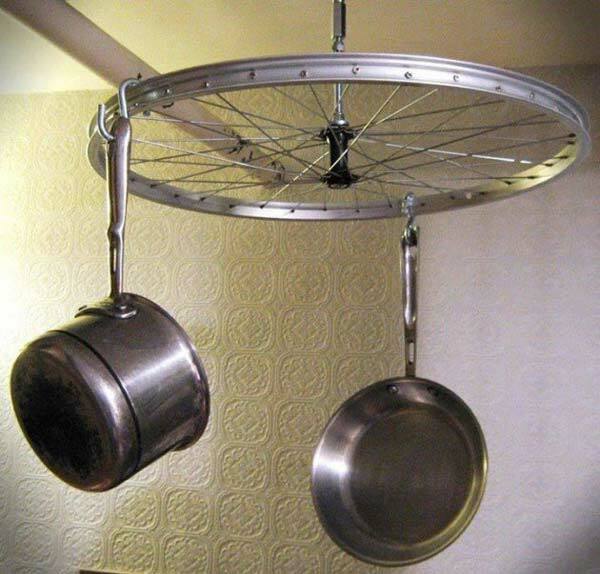 You can use the wheel in your kitchen, to help keep in place all the pans and pots that you have.